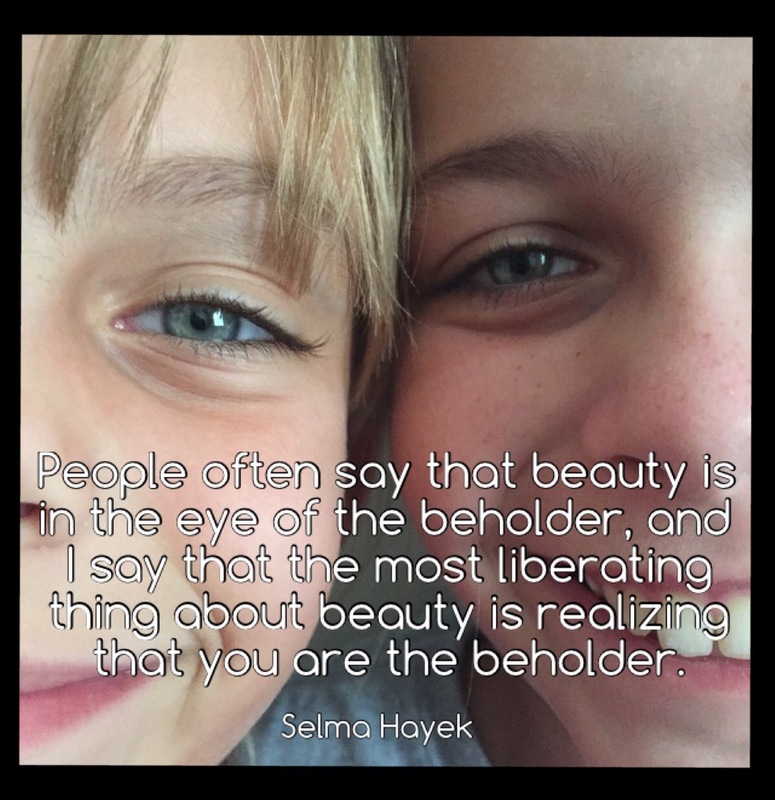 Beauty is…realizing you are the beholder. …the most liberating thing about beauty is realizing that you are the beholder. I love love love this quote attributed to Selma Hayek (I even used it on the “About Us” page), because it so perfectly sums up our mission here at OperationalizeBeauty. Our goal is to empower women and girls to define beauty for themselves– to realize that THEY are the beholder. If we internalize the labels that make us feel good, we are in danger of internalizing the ones that make us feel bad, too. We are not beautiful because someone says we are beautiful, we are beautiful because we have taken the time to explore what it means to be beautiful– and we know that we fit the bill!